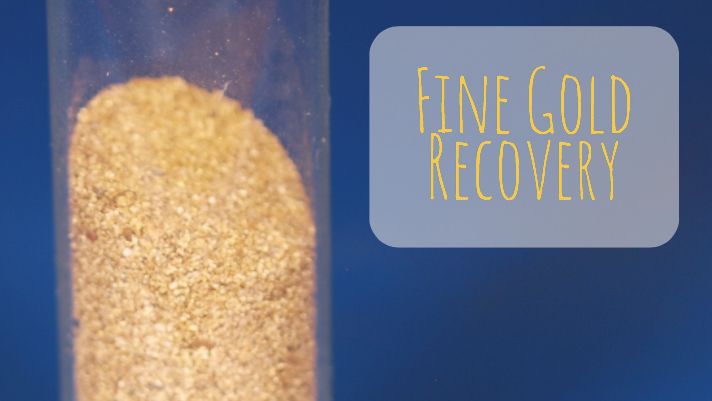 Recovering fine gold from black sands is one of the most challenging aspects of gold mining. While we are all hoping to find that once-in-a-lifetime gold nugget, the vast majority of gold that we find as prospectors is very small in size, ranging from gold flakes down to dust so small that it is nearly invisible. Extremely fine particles of gold like this can be very difficult to separate from black sands and other minerals that have little to no value. Despite their small size, the accumulation of this fine gold can add up to substantial amounts, so it is in the prospector’s best interest to find a process that will help aid in the recovery of this fine gold to maximize their profits. The process required to separate gold from other minerals is simple enough to understand. Gold, being the heaviest element we typically encounter in a stream, can be separated from lighter materials by various gravity separation methods. Gold panning is the most common method used by small scale prospectors, but larger mining equipment like gold dredges, sluice boxes, drywashers, and many other types of equipment uses gravity separation to discharge lighter material while retaining gold. The difficulty lies in the fact that none of these methods are perfect, and the end result of a day of gold mining will result in what we call “concentrates”. This is the concentration of heavy materials that have been captured. If you are in a gold bearing area, there is a good likelihood that you have captured some gold, but along with that gold you are going to find black sands and some other trace minerals. First, let’s take a look at what concentrates are generally comprised of. If your mining equipment is set up properly, then you should be discharging the vast majority of the lighter material, such as most light sands and gravel. Black sands, with a specific gravity of around 5 (meaning an equivalent volume of black sands is five times heavier than water), is generally made up of hematite and magnetite. Magnetite is known to be highly magnetic, and this will help in the separation process. Hematite on the other hand is only slightly magnetic. It does not hold near the attraction to a magnet that magnetite does, but will still draw to a magnet if it is extremely strong. This will be to the miner’s advantage further in the separation process. Other heavy minerals that are commonly encountered can include cinnabar, platinum, diamonds, lead, mercury, garnets, and other assorted heavy minerals. Generally if present, these will only comprise a small percentage of the total concentrates. Black sands are the main challenge that prospectors will have to contend with. So where do all these black sands come from anyways? Both magnetite and hematite are crystalline oxides of iron, which is one of the most common elements on the planet. In addition, it is common fact that metamorphic rock and igneous rock are generally associated with iron deposits as well as gold deposits. While there are occasionally gold bearing areas that have very little black sands, it is generally accepted that there will be at least some amount of black sands anywhere that gold is found in varying quantities. Some areas you will find just a trace, but most areas will produce a significant amount, thus your concentrates will have a high percentage of black sands. There are many different methods that a gold prospector can use to separate the gold out of their black sands. These methods can range from as simple as carefully gold panning the concentrates several times to expensive separation equipment costing thousands of dollars. For most small-medium scale prospectors, the more expensive separation methods such as shaker tables are not the best method. These can be very valuable for a large mining operation, but the average prospector will never yield enough additional gold to justify such a large purchase. On the other hand, simple hand panning of concentrates will result in lost gold, especially the finest material. No matter how skilled a gold panner is, it is impossible to work as efficiently as a mechanized piece of equipment specifically designed for fine gold separation. Fortunately there are quite a few good fine gold recovery systems on the market that are both efficient and cost effective. A few hundred dollars will generally get a prospector set up with a system that will do an excellent job of retaining the finest gold in their concentrates. A favorite among prospectors is the Blue Bowl Concentrator . It uses a simple design of circulating water (much like a flushing toilet) to separate any lighter material and black sands while keeping the gold at the bottom of the bowl. Other popular equipment include spiral panning wheels, which use a specially designed spiral motion at an exact angle to capture the fine gold. Micro sluices work much the same as a standard sluice, but using much smaller riffles and less water flow. All of these types of equipment work, and can be purchased for a few hundred dollars or less. The trick to maximizing the efficiency of any of these methods is to classify your final concentrates down. Reducing down to approximately -30 mesh will help reduce losses. Anything larger than -30 mesh should be panned out and inspected for larger pieces of gold. Once classified, the black sands can be run through the equipment and yields will be maximized. Although a bit more expensive than other methods, the Gold Cube is a very popular tool for fine gold recovery that is used by many gold prospectors. Even after final processing, you will still find that you concentrates, which are now “super concentrates”, will still have a mix of fine gold and fine black sand particles. Here is where the magnetic nature of black sands will help us in the final separation process. Using a rare earth magnet, we can physically pull them away from the gold. It is very important to get an extremely powerful rare earth magnet, because although magnetite is highly magnetic, hematite is only slightly magnetic. The added power of one of these extra strong magnets is the key to success in this process. Place the remaining concentrates in the bottom of a plastic gold pan with an inch of water. Spread them out across the bottom of the pan, and hover your magnet just above them. The goal here is to actually cause the black sands to “jump” out of your gold pan. Clean the accumulated black sands from the bottom of your magnet and repeat this process several times until the black sands are nearly all removed. Be sure to inspect the black sands as you clean them off the bottom of your magnet, as small bits of gold can be trapped and lost in this part of the process. Once you have removed nearly everything but the gold, use your magnet and stir the material at the bottom of the pan to pick out the remaining fine textured sands. Once finished with this wet separation process, you should be down to almost clean gold. Dry whatever you have left and inspect it carefully. There will likely still be a few particles of mineral other than gold, but they should be reduced down to a small enough quantity that they can carefully be separated out with the tip of a sharp knife, or carefully blowing on the remaining material. In the past, mercury was commonly used for final cleanup, but with our current knowledge about the dangers, plus the invention of these excellent fine gold separation tools, mercury really isn’t need for gold mining like it once was. Using the process described above will work extremely will for the needs of most gold prospectors. As mention earlier, large mining operation may benefit from more professional equipment designed to process large amounts of black sand. However, we are talking about mines that produce several tons of concentrates, rather than a few five-gallon buckets full like most prospectors. 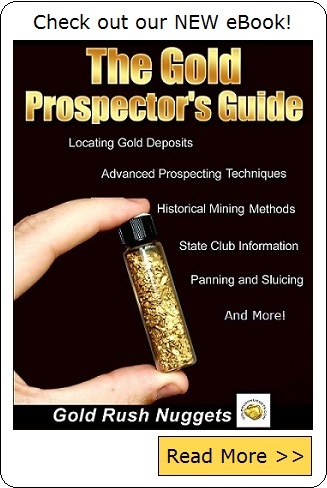 It might also be noted that some prospectors seem to get obsessed with retaining fine gold. They almost have a delusional belief that there are ounces and ounces of gold hidden in their concentrates, and the perfect extraction method will somehow produce more and more gold. The truth is that there is only so much gold in your concentrates, and no perfect method is going to produce more gold than there actually is. Additionally, spending an extensive amount of time capturing micro gold particles can become a bit pointless, since a visible speck of gold may only have a value of a few cents. Do your best to retain the finest gold particles that you can, but don’t spend so much time that you take away from time that would be better spent out in the field. Using the process outlined above will do an excellent job of fine gold recovery.